Artwork Panel: 32.5cm x 67.7cm ≈ 12¾" x 26¾"
Silk/Brocade: 42cm x 126.5cm ≈ 16½" x 49¾"
This is a gorgeous wall scroll featuring "wushu" (martial arts) written on handmade tan xuan paper. We created a two-toned silk brocade wall scroll with ivory and copper silk brocade colors. 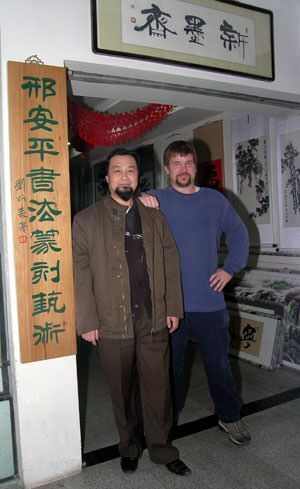 These Chinese characters are "wu" which means warrior spirit or military, and "shu" which means method, technique, or way. If you are looking for a gift for a friend who practices Kung Fu or any Chinese martial art, this is it. 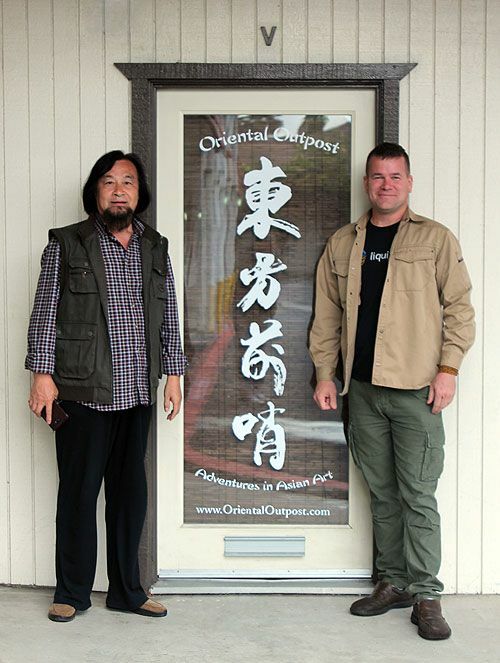 Link: Options for custom martial arts Chinese/Japanese/Korean calligraphy are available here! 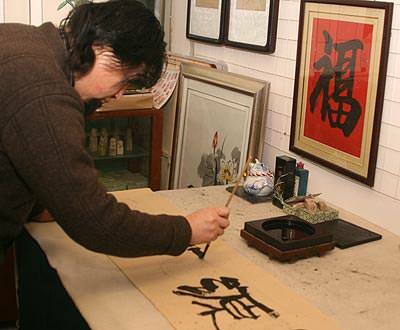 This piece was done by Master Calligrapher Xing An-Ping of Beijing. To create this art, Xing An-Ping used special Chinese ink on handmade xuan paper (rice paper). 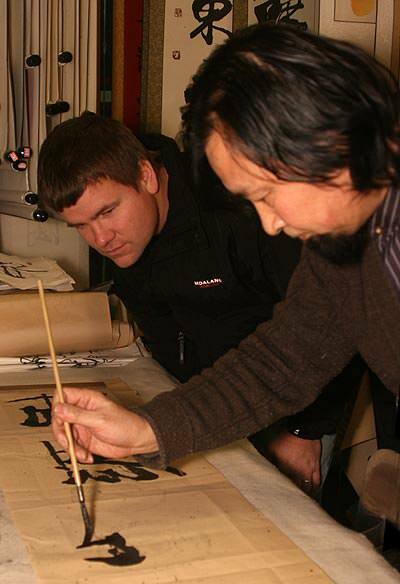 The raw calligraphy was then taken to our mounting shop in Beijing where some of the best mounters in China laminated this to more sheets of xuan paper and mounted it as a beautiful silk brocade wall scroll.